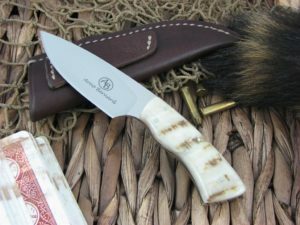 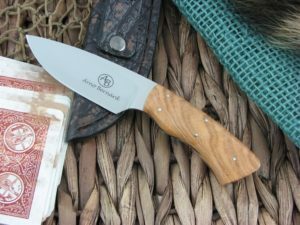 This is the Arno Bernard Cutlery Bush Baby Gecko, has Warthog Tusk handles and the steel is N690. 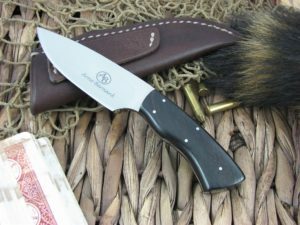 The blade finish is Hand Polished. 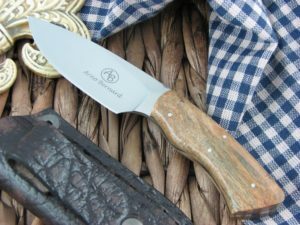 *Our opinion: The Bernard Family effort on this knife as compared to their entire catalog is 9.